Let’s admit it—men tend to be less health conscious than women, who often take a much more public and proactive approach to their health. 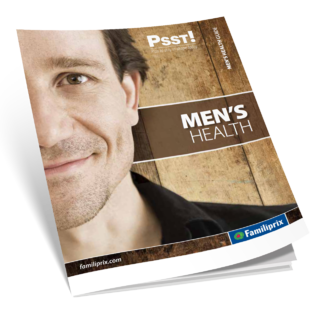 The result is that there are some rather disappointing findings about the status of men’s health in Canada. Whether this is due to a lack of awareness of men’s health-related problems or simply because men are often less likely to talk openly about the subject, the fact remains that the situation is worrisome and should be addressed. Do All Men experience Andropause? Why Talk About Prostate Cancer? Normal or Abnormal Hair Loss? Mental health: breaking the taboos! Uncomfortable seeing a health professional?